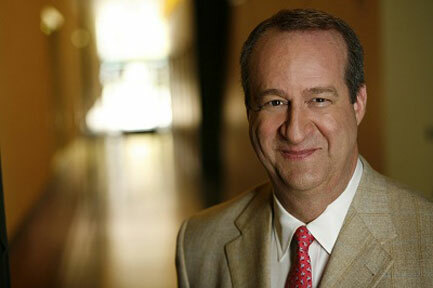 Mark Rosen began his broadcasting career in 1969 while he was a junior at St. Louis Park High School. His neighbor, Phil Jones, a political reporter for WCCO, inspired Mark to pursue a career in broadcasting, and Mark was hired as an unpaid employee. WCCO sportscaster Mark Rosen admits to a “special feeling” whenever he announces a Park score. The reason is that he graduated from Park in 1970. Though as Associate Sports Director Rosen now regularly reports and sometimes anchors Channel Four sports, he got his start doing odd jobs at the station during his junior year in high school. “I’d be the one putting up the little numbers on the green scoreboard we had,” he recalled. As he learned the business, WCCO gave him more challenging assignments. “My senior year at Park I wrote and produced the sports year-end show. It was one of the biggest learning experiences I had,” he stated. Rosen’s learning has continued in the decade since. He feels that an important awareness he has acquired is that athletes are real people. That human element was a big part of what Rosen termed his most memorable assignment, covering Jim Marshall’s final home game. In the spring of 2012 Mark authored his memoir, Best Seat in the House: Mark Rosen’s Sports Moments and Minnesota Memories, which recounts some of his experiences growing up in St. Louis Park and highlights of his 40 year career at WCCO. Read Seth Rowe’s story in the St. Louis Park Sun-Sailor. In October 2013 Mark was inducted into the Minnesota Broadcasting Hall of Fame. Growing up in St. Louis Park, Mark Rosen lived at 27th and Hampshire and went to Lenox Elementary School until the middle of 5th grade. Then the family moved to 9011 Stanlen Road (off Flag Ave.) and Mark attended Cedar Manor Elementary before going on to Westwood Jr. High School and St. Louis Park High School.